Well, when the two big cats of the zodiac get together, you’ll certainly hear them roar. Everything about the relationship between a Leo man and a Leo woman is done on a grand scale, whether it’s passion, drama, shouting matches or dinner parties. This couple are very full on, all the time. But can Leo man Leo woman compatibility stand the heat of a double fire sign match? 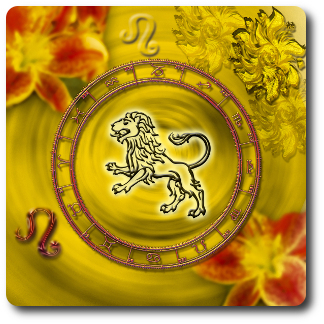 Both the Leo man and the Leo woman are larger than life personalities, and their relationship will be a flamboyant one. Very sociable, this couple mix in all the right circles and are probably highly popular and sought after. Theirs is a tempestuous relationship, however, both in public and in private. Both are passionate individuals, so they find it hard to keep their hands off each other, but both also have legendary tempers, so their rows are very dramatic and intense – and often also very public. Leo man Leo woman compatibility is the same in public as it is in private, as these two individuals behave no differently behind closed doors. The problem is that there’s barely room in a relationship for two such powerful personalities. The Leo woman’s need to be adored and worshipped can be met, to some extent, by her proud Leo partner, who will love to show her off. However, he also wants to be adored, and she’s too busy adoring herself to oblige. The major stumbling block for Leo man Leo woman compatibility will always be that both partners have enormous egos to look after. They are each quite demanding of the other. The Leo man exudes authority, dignity and power. He is an alpha male, used to being in charge, being in control and getting his own way. Great! Except…his Leo woman is also an alpha, and is also used to getting her own way and calling the shots. 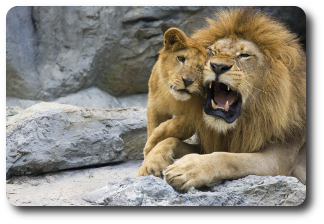 An eternal problem in Leo man Leo woman compatibility will be a power struggle over who’s really the boss. If this couple are sensible, they will learn to take turns sharing the power. They’ll learn to negotiate properly over major life issues and decisions, or they might delegate responsibilities so that one partner calls the shots about X, where the other is in charge over Y. This kind of power sharing can work for Leo man Leo woman compatibility, but it takes will power and determination, plus an understanding of their own personalities. Both the Leo man and the Leo woman are very proud individuals, and neither likes to admit that they have made a mistake. Together with the fact that of course Leo is a fixed sign, getting either partner to apologize first is a bit of a challenge, and for that reason their rows can last for days or even weeks. Fortunately, however, both the Leo man and the Leo woman are kind, sunny and warm-natured. Neither will hold a grudge, and eventually their shared passion will draw them back together, to the bedroom if nowhere else. It’s ironic that the shared fire which tears them apart can also be the saving grace for Leo man Leo woman compatibility. This is certainly not a relationship without issues, then, but when the Leo man and the Leo woman are truly in love, theirs can be a partnership which is incredibly warm, passionate, loving and optimistic. When it’s going well, this couple are a joy to be around, both for each other and for their friends and family.